I've been really busy recently, so this post is a little shorter than usual, but hopefully just as sweet. Joseph Spitale and Carolyn Porco from the Space Science Institute at Boulder, Colorado looked at four years worth of images of Saturn’s rings from the Cassini mission. 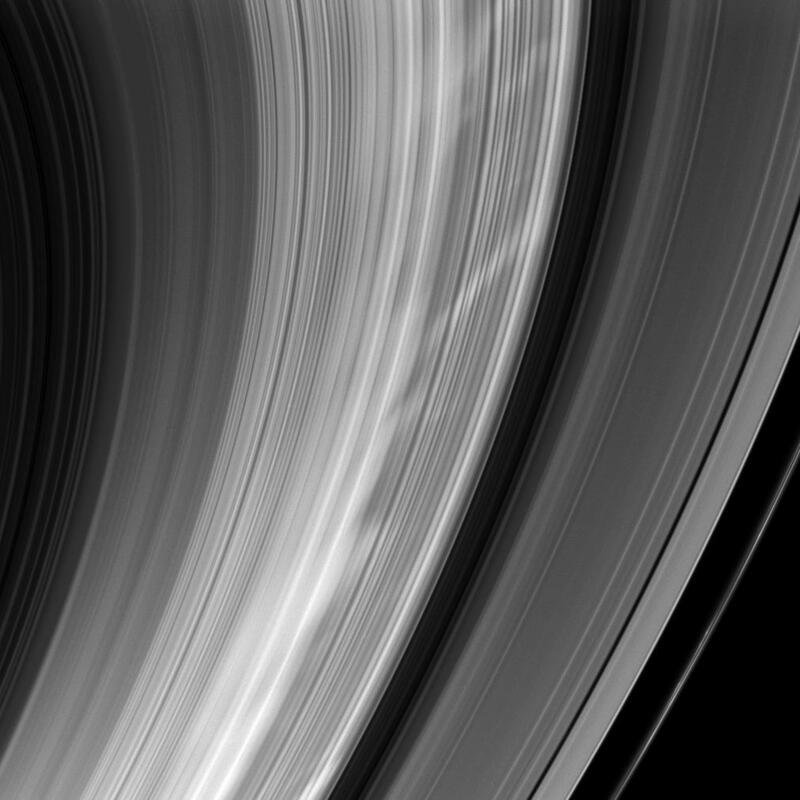 They saw evidence of wave patterns in the B ring that seemed to have arisen spontaneously – without being forced by Mimas. The waves are thought to come about because of the high density of the B ring, and are given a boost by its sharp edge which reflects and amplifies the waves. Spitale and Porco also found small moons, known as “moonlets”, near the outer edge of the B ring. The small chunks of ice and dust that make up Saturn’s rings may be left over from the formation of the planet itself, or could be all that is left of a moon that strayed too close to its parent and got broken up by Saturn’s gravity. * Either way, these new findings show that the rings are anything but the static bands of ice we sometimes imagine them to be, and that their motion doesn’t even always come from outside influences. 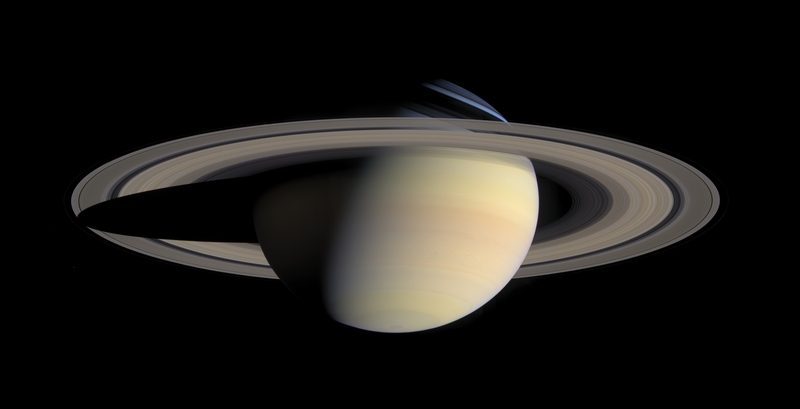 But these findings don’t just tell us about the behaviour of Saturn’s rings. They also offer insight into other systems in the universe that may have similar oscillations, such as spiral galaxies and protoplanetary disks. This is an example of one of the amazing things about physics. By observing something close to us, we can learn about the behaviour of systems on the other side of the universe. *There’s something known as the Roche limit that dictates how close a moon can get to its planet before it’s broken up by tidal forces caused by the planet itself. It's great that people are really starting to more and more sift through the massive amounts of data that has been collected over the years. Would be a shame to miss something in the data we already have that could have huge implications.